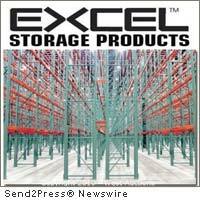 LODI, Calif., Jan. 6 (SEND2PRESS NEWSWIRE) — West Auctions, a commercial and industrial auction company, announces the bankruptcy auction of Excel Storage Products to take place on January 19, 2011. Interested bidders may register to bid from now until 9:00 a.m. PST that same day. This is a court-ordered sale of assets from Excel Storage Products, one of the largest industrial rack manufacturers in the United States for more than 41 years. The company has filed for Chapter 7 bankruptcy protection and its facilities will now be sold to the highest bidder(s) at auction. “We are primarily looking for enterprise buyers who may wish to take over these manufacturing facilities and put people back to work producing high quality roll-formed racks and structural systems,” says Daniel West, vice president of West Auctions. This bankruptcy sale includes facilities in four cities: Lodi, California; East Stroudsburg, Pennsylvania; Cadiz, Ohio; and Brookings, South Dakota. West Auctions is a full-service auction and appraisal company that assists financial institutions, companies and insolvency professionals with all aspects of asset management. It specializes in commercial and industrial property and real estate, with comprehensive services that cover everything from asset recovery and valuation to private treaty negotiations and auction sales. For more information, visit: www.westauction.com – or call: 800-499-WEST (9378). News issued by: West Auctions, Inc. Original Keywords: Excel Storage Products, manufacturing facility, west auctions, auction, industrial, park, commercial real estate, buildings, Excel Storage Products, industrial rack manufacturers, Daniel West, roll-formed racks and structural systems West Auctions, Inc. Lodi California LODI, Calif.
Alternate Headline: Industrial Rack Manufacturing Bankruptcy Sale announced by West Auctions, Inc.
News Source: West Auctions, Inc.
More from West Auctions, Inc.
RSS News Feed for West Auctions, Inc.
REFERENCES: Auction News, Excel Storage Products, manufacturing facility, west auctions, auction, industrial, park, commercial real estate, buildings, Excel Storage Products, industrial rack manufacturers, Daniel West, roll-formed racks and structural systems West Auctions, Inc. Lodi California LODI, Calif.